Today is my 5th birthday. Not “birth” birthday, of course–I’m 23, not 5. No, five years ago today I left the old Kayla behind and became someone different. Someone trying to be a little better. A few weeks leading up to today I told my husband we should have cake to celebrate (kind of a silly tradition). He made cookies instead–and I sure don’t mind since sugar is sugar *and his cookies rock*. I also spent some time flipping though my old journal, remembering entries I wrote while I was being taught by my missionaries and looking over pictures from the day I was baptized alongside my family. And now that I’m settled down from a sugar rush that I managed to get before lunchtime and my husband is off running an errand, I got the desire to write to you–the 18, 19, 20-something-year-old young person who might be reaching a point in his or her life where a mission is in the cards and the desire is there, but you’re just–scared. Or nervous. Or sad. Or maybe you just decided you shouldn’t go at all. Whatever the stage you may be in, I wanted to write this for you. So I don’t know the complete psyche of the young men in this matter. But I have enough guy friends and enough girlfriends who have served to know how it may feel when your toes are to the edge of the cliff–ready to jump into midair–and ready to serve a mission somewhere you’ve never been. But, I also know why you should jump. You’ll face people like me–people who wanted nothing to do with any of it. But then, there’s my next memory. Two missionaries helping a woman in her front yard. I was a teenager in high school, driving in my little car, when I noticed two badged elders busy raking and planting pink ruffles of flowers in a small little yard down the street. The old woman watched from her porch, smiling. You’ll do that too. You’ll spend so much time serving, Brother and Sister. You’ll plant flowers and paint walls and move furniture ten times your body weight. You’ll hurt your back and your feet while doing it–and you’ll love it. And there will be someone like me–someone you don’t even know about–who drives past or walks by, and notices your smile as you serve. Someone like me will decide you’re not so bad. A memory of a missionary that comes to me after that is when I finally decided to go to church with one of my Mormon friends. The spirit touched me–and in that moment I realized I’d never felt the spirit quite like that before. I searched my eyes for someone to tell–someone who would believe that all this time, all my life, I’d been searching and I felt like I found it! And that’s when I found those young men with the black tags and matching backpacks. “I want to know more” I had said. And their eyes grew wide as they exchanged glances. That will be you, Brother and Sister. You’re going to be the beacons of light that people will find–like moths to a flame, people will know you carry truth. And to those who don’t know right away–they’ll come to find out. 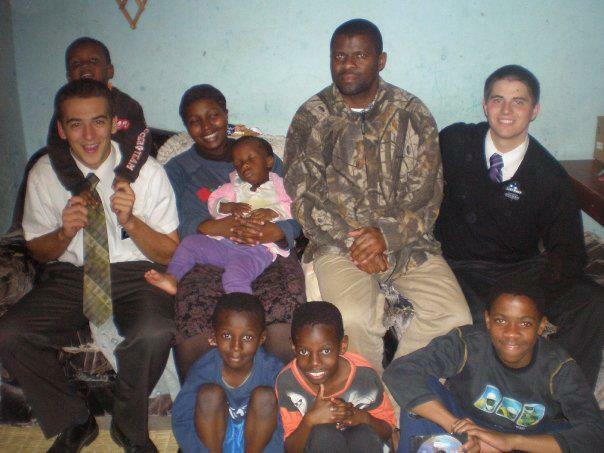 A sweet memory that follows that one is of sitting at the feet of the missionaries as they taught my family. Like an infant, I’d never heard any of it before. Sure, I knew who Jesus was. And I knew God was there. But while listening to the missionaries as they spoke softly about the plan of salvation, about living prophets, about forever families and the sweetness of repentance through the atonement–I was set free. All of my past, like dark shadows that had haunted me, slowly shriveled back in the light of these two missionaries who held the word of God in their hands and proclaimed his truth. I was in awe. You’ll do that for someone someday, too. You’ll be the first words they’ve ever heard about the gospel. You’ll be the only scriptures they’ve ever read. You’ll remind them who they are. And in turn, you’ll learn who you are again. Then comes the memory of my missionary as he brought me up from the water. He was smiling. And so was my heart. One by one my family went down into the water and came back up, renewed and relieved that we no longer carry a heavy sack of “I wish I hadn’t”. And you will most likely step into those waters too. And if you don’t, you’ll lead someone close to the water all the same. And you’ll see the smiles. The imprint of the gospel on their faces. 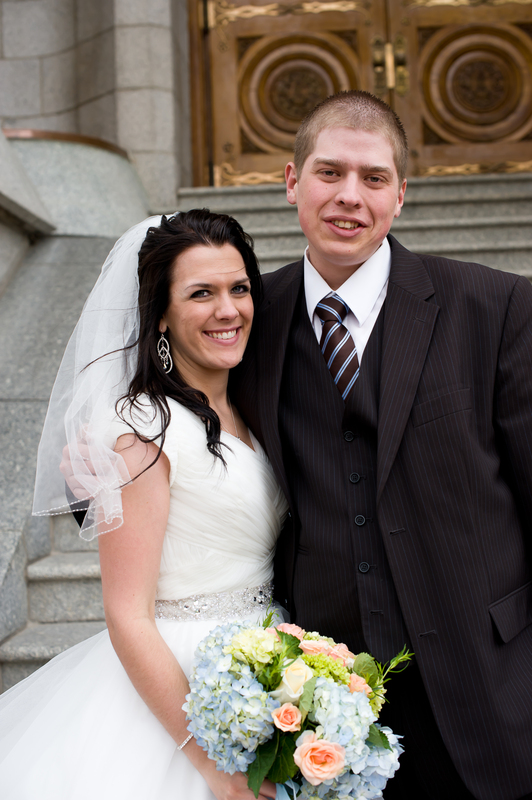 And that leads us to my most recent memory of missionaries: My wedding. My first missionary was right there in the temple–the same missionary who showed me my first picture of a temple. He no longer wore a tag, but he wore the same spirit he had right when I saw him last. As he hugged me that day he told me he was proud of me and that it was one of the happiest days of his life so far. Brother and Sister, you’ll feel that too. Someday down the road you’ll look back on your mission with fondness. Yes, it will be hard. Yes, you’ll have days where you want to give up. Yes, you’ll wonder if anyone will ever just want to listen. And then, it will all make sense. You’ll see lives blessed. Children from families you taught singing primary songs. Teenagers you played basketball with turning away from drugs. Or maybe even impoverished families walking miles to attend church on Sunday–because they’re dedicated to the cause. You will help in the work. But it’s worth it, friends. It always is. I know there is someone like me out there. Someone like my family. They’re searching for truth, even if they don’t know it yet–they want light. And you can be God’s hands and bring that to them. **I wish to write a disclaimer to this post. I know there are circumstances that sometimes arise (illness, disabilities, personal choice). I don’t intend to sound as if everyone is meant for a mission no matter what. I just want to encourage those who have even the smallest desire to serve. Wonderful article. Thanks for writing it. Beautifully said. All of it. Its funny that we missionaries can now use the internet and as a result I ran into your article. And I can testify its so true, as a missionary you have days you just want to give up completely, then there are the days that are absolutely amazing. I have often wondered what would have happened if the missionaries that baptized my family decided not to serve a mission. And tears of gratitude come to my eyes because of it. Behind every missionary is a life, a legacy they have touched. And though not every touched life ends in a dripping wet white jumpsuit, hearts will be changed. My friend, Kayla blogs over at All Our Lemmony Things. 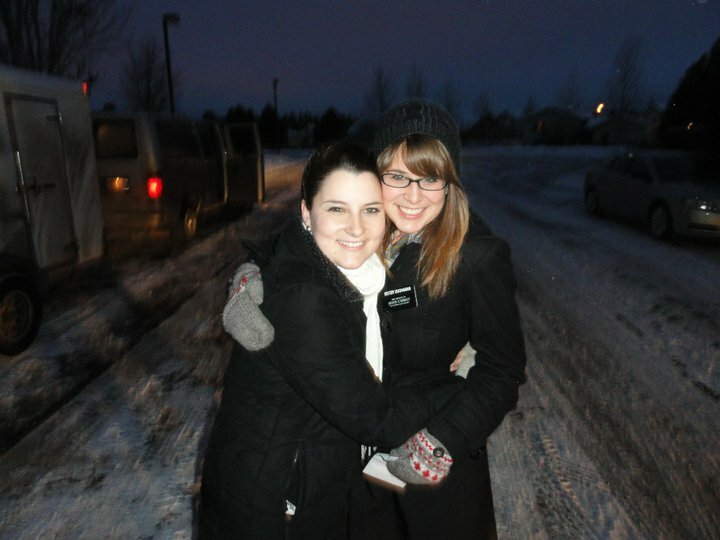 Today, she posted about the missionaries that changed her life. She gives some poignant advice to men and women thinking about serving. Thanks, Kayla, and happy 5-year anniversary. Hi Kayla. This is a wonderful article. I am a convert to the Church as well. I was baptized when I was 18 years old and I remember having a similar experience with the missionaries and they taught me for about a year. Now when I look back on that time period I met several awesome missionaries that all were and are a positive influence and are good people. Missionaries are full of service and often are the most positively influential people that one meets. Brought tears to my eyes. Thank you for writing this. Brought tears to my eyes. Thank you for writing this for all to read. I’m a convert too, and have memories similar to yours. Now, twenty years later, my oldest son AND daughter are serving missions in Peru and Chile. The Gospel is a gift. Thank you for sharing! I cannot express how much I needed this. I am sitting here at 2:30 in the morning- crying about how terrified I am about the next 18 months. I leave November 20 and am so scared. I feel lost right now and just needed some help. I pull open Facebook after crying and trembling and the first thing I see is this post. It is not a coincidence. It was put here to help me. Thank you for your words and for comforting me in this time. Thank you. Olivia, I’m so glad this blog could help–even in a little way. Let me tell you, you’re going to be fantastic. As a Sister missionary you will literally change the course of generations, and I am so excited for you! The Lord will work miracles in your life as well. Keep smiling! I’m a recent convert too and I’am also relate to the experience you have.Im so blessed because I been belong to the true church. This is a truly wonderful post. It is well written, well structured, and came from the heart. I’m glad that I stumbled upon this in my online proselyting (I’m a missionary currently in England), and cannot wait to continue to read your blog. I’ve been teaching someone considering serving a mission, and I know that it was the Spirit that lead me here, to share what you have so beautifully written. Thanks again. Elder Caruso, thank you so much for the comment! And I’m so glad you visited my blog and will be hanging around 🙂 Thank you for making the best decision of your life to serve a mission. I will pray for your continued success over there, Elder. This wouldn’t happen to be Elder Foster who attended West High in Salt Lake City? If so, this is your old seminary teacher, Brother Spere. I saw this article, read it, and started having thoughts of past and current students that I hope will read it…and then I saw your post. Even if you’re not who I think you are…I’m so proud of you, and all that are out there serving right now. The Lord will always bless and help those who are striving to keep His commandments, and teach His children the path to happiness, joy, peace, and Eternal Life. God bless! Well said! I loved it! I have been LDS all my life and was baptized 10 years ago this year! Meaning I am now 18 and preparing to serve my mission! I leave in just one week! I am excited to serve and hope I can touch people’s lives as yours has been! It is a powerful and uplifting feeling to be able to share the gospel and your testimony and writing of this article is missionary work in it’s own way. Thank you so much for this wonderful article! Oh there is no words to express how grateful i am for finding this! It helps remind us what serving and teaching is all about. I am a convert and i could not be more grateful for missionary work. I was converted close to three years ago and it is the most wonderful thing that could have ever happened in my life at that specific time :3. I am seventeen right now and mission is more than just a plan or decision, for me it is a goal. Your article made me cry for so many reasons, because you brought back the memories of my missionaries and the one that baptized me and my family, also i cried because being the person that has the answers for many people looking for them is going to be magnificent… thank you so much. I really want a copy of this! It made me tear up. I am a missionary mom, but also a convert. You are an amazing writer! Keep writing and sharing. Thank you, thank you, thank you!! I’ve been considering going on a mission for months now. One day I decided that I needed to go on a mission but then the devil worked harder and made me doubt my decision, to the point that I decided not to go and it wasn’t for me. I’ve been praying to help me know what to do with my life. I’ve talked about a mission with my bishop and my parent but I still wasn’t sure what to do. This blog was an answer to my prayers!!! I really, really needed this!! Thank you soooo much! Kayla, you were one of my daughter Shelby’ s first roommates at BYU-I. She’s serving a mission now and shared your blog post on Facebook. As a convert and a returned missionary, I loved reading this – it made me think of my own conversion story and how many lives have been touched because of the missionaries who touched my life. Thanks for writing this! As a missionary serving at this time. . . I needed to hear this. Days are hard sometimes. THANK YOU!! It is worth it. These people NEED the gospel. I need to change. I NEED the gospel. And in all we NEED to serve. Thank you so much for your story and your testimony. Thank you so much for your incouragement. I needed this today to keep pushing forward. I know God loves us and I know Missionaries are needed. I know this church is Christ’s church. Thank you. It made me cry. I served as a new convert and was terrified, but it made me a man. My sons have served and they are better men for it. Thank you! I saw this just as I needed to be reminded why I need to serve. I have spent the last week questioning whether or not I should go on a mission. Your thoughts were an answer to my prayers! I will be putting my papers in tomorrow making me one step closer to meeting people like you that I can bring to Christ. Thank you for this! Your writing is inspiring a lot of people. Nice work! Sister, you said this perfectly!! I thank my amazing missionaries as often as I can… they changed my ETERNITY and for that I am eternally grateful to them! What a wonderful testimony. 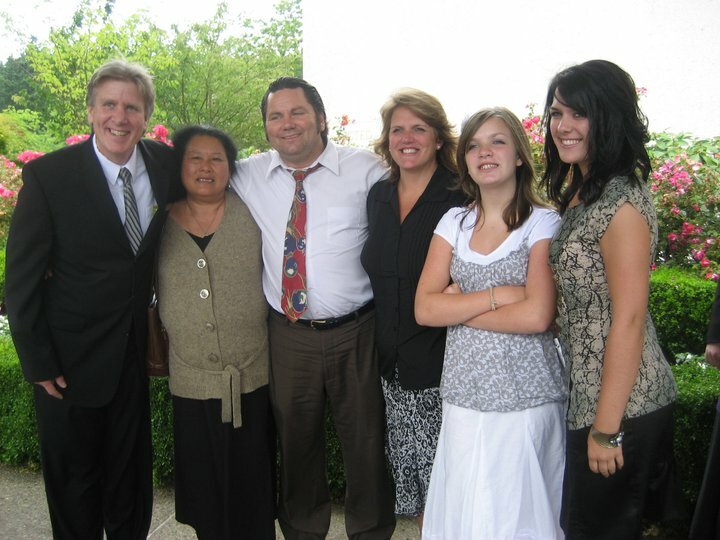 I have often thought about the missionaries and the families that taught my grandparents. They are long dead but still I can’t think of them without gratitude. Missionaries really change generations. What a great post. Thank you so much. I have a 17-year-old who is thinking about/preparing to go on a mission in less than a year. I will certainly share this with him. Thanks again, and much love to you from a follower in Arizona! 🙂 This made me smile! I too jumped in the water at 18 🙂 When my husband and I got married in the temple (11 years ago) I called the missionaries that helped me get to where I was. None could make it but everyone was ridiculously happy. I received cards and phone calls and happy thoughts. Every March I celebrate my “birth day” and it’s great! I love revising that part of my life! I’m going to print this and send it to my missionary daughter! I’m a lifelong member, but my husband is a convert (he was baptized on our fifth wedding anniversary). I’m so grateful to the missionaries who taught him, to the home teachers who didn’t give up even when he said he wasn’t interested, to the members of the ward(s) who fellowshipped him. Your post makes me think of all those people, all those choices to keep going, and I’m so grateful! Thanks so much for sharing YOUR thoughts and experiences. It makes sending my daughter away for 18 months (and my son for 24, in a couple of years) worthwhile! This post is beautifully written. I forwarded it to local youth leaders and other leaders. Thank you for this blog, and please keep writing! If your missionaries had not served you and your family still would have been baptized by other missionaries. When you were finally ready, it wouldn’t have mattered who was serving at that time. Just found your blog and like the way you write. Thank you so much… I definitely needed this today. I have my mission call, but I also have a while to wait before I report to the MTC. Which means plenty of time to agonize over whether or not this is right. Definitely needed this perspective and reminder of why I decided to serve! Thanks again! Thank you for this article. I’m 18 and ever since I started attending BYU-I, i’ve been contemplating serving a mission next year or not. I go back and forth, but this article definitely spoke to me. I served a mission quite a few years ago and have 2 daughters who are currently serving missions. Your post brought tears to my eyes- it was so beautifully written and spoke to my heart. Thank you for sharing. This is what it is all about. God in you and me, and His work is good to us,thanks to all of you up there all made me in one in H.I.M, are great lighted, and His word is whear one and two is He is us all, thank again, come leth’s go to the Lord with me He is our friend and, but the door is open. Godwin Kwasi Ahor. published it and mark it. sin; what is black & white, all is good from God, but see what is good onto God, and do good.